So, I was confident I would bring this ‘Queen’s Stage’ to a good end – I guess I more or less did, but once again, my mildly disturbing optimism regarding my abilities, almost got the better of me. Anyway, the Iseran itself was not all that interesting up to Val d’Isère, although the views passing the Lac du Chevril were already much better. However, there were some major roadworks going on and with the diversion(s) over the very narrow and busy secondary roads, bypassing the tunnels, that was not a lot of fun. 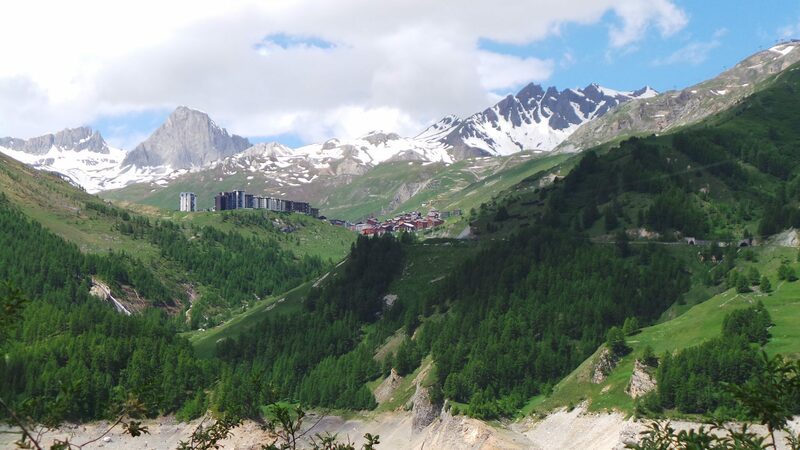 Upon leaving Val d’Isère the climb gets interesting and offers spectacular, breathtaking views. But, while you already start to feel the previous 30+ kilometers, it also gets steep(er) and colder. Or not. First of all, it was so windy and cold during the first part of the descent from the Iseran, that my bones felt frozen. And when it warmed up a bit in the valley towards Lanslebourg, I had to fight 360 kph head winds. 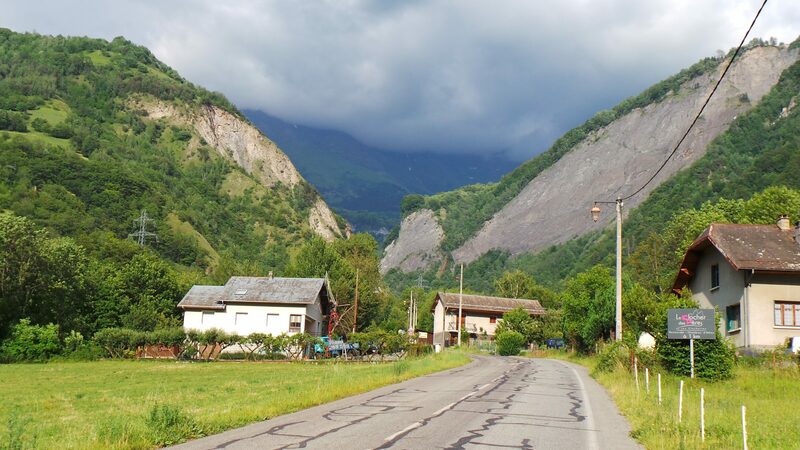 I turned left in Lanslebourg for the climb up Mont Cenis – after all, that would ‘only’ be a 10 kilometer diversion, while adding another ‘trophy’ to the list. As it turned out, this was my second mistake, as in the final of that climb I faced a flesh-tearing, icy head wind. Besides, while the average is only 6.9% it offers annoyingly frequent stretches well over that, maxing out at 13%. So, after recuperating a bit in the cosy and warm ‘Relais du Col’, I was thinking I might descend by car and then onward to the Madeleine by car too. But, stupid is as stupid goes and I made my third mistake, by calculating how much more I would need to cycle to finish the Strava Gran Fondo for June. As I was just around the 100 kilometer mark, I ‘only’ needed 30 more, starting with a descend back to Lanslebourg. As if I had not learned from my crossing the valley before… Sure enough, the head wind continued to wear me out, although Paula let me ride in the car’s slipstream, as often as she could. It was well past 6pm when I eventually started my ascend of the Madeleine, while the sky looked as if I would be heading into thunder and rain further on. This ascend is the tougher of the two: 20 kilometers at an average of 8% and no easy bits. Nowhere. The desolation, not to mention the freezing cold wind again, during the last kilometers and at the top was almost too much. Obviously, both refuges at the summit where (long since) closed. Trip: 153.9 km / 4,475 m elevation gain (Garmin Part 1 and Part 2).